Australia is no doubt has great wonders. 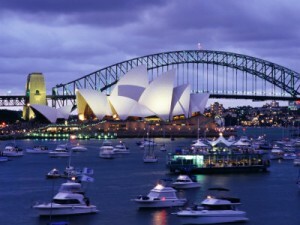 Hence, its largest city or cosmopolitan itself has great things to offer – Sydney. Exploring Sydney is indeed not something to miss out in your bucket list. For travelers out there, exploring Sydney in 3 days or so would not be a trouble because there are travel companies that offer varieties of Sydney tours all year round. Although, exploring Sydney can be any time of the year since its climate is temperate, but the best time would be during summer, which starts during December to February. Peak season begins mid of January to mid of April and at this period when tourists flock. Having said earlier, summer time got the most crowds in Sydney. It’s also at this time when most events are held such as “The Sydney Family Show” that runs on April 12 to 23, Taronga Wild that started running in February 2 until April 28, Strictly Ballroom (The Musical) that will be held on March 25 to June 1, the Team Australia Challenge on March 20, and a lot more. Of course, to make your holidays something to be remembered, soaking and swimming in the beaches are what visitors die for to do while in Sydney. Don’t go far because Sydney has the best beaches like Coogie beach, Bondi beach, Palm Beach, Tamarama beach and more. But, for an ultimate adventure experience, consider exploring the region of Blue Mountains. If you are a first time visitor here, you can avail of Blue Mountain tours for a complete package exploration of the place. The region has a large area that can encompass many things to do and stunning views. Besides, any type of tourist would absolutely enjoy and have fun because grandeur and endless views of nature is what Blue Mountains offer. You can have a picnic at the Blue Mountains National Park, enjoy a scenic moment at the Three Sisters, walk through the trails in the bushwalk or experience horse riding at the Megalong Valley. Other things to do comprise of a hike to Wentworth Falls, explore Jenolan caves, enjoy the sceneries at Valley of Waters or when you are there on wintertime, try out Sparadise Japanese Bath and Tea house and a lot more. When you are at the Sydney center, only an over of 60-minute ride or drive to reach the entrance of Blue Mountains. From there, you can start your Blue Mountain day trips from Sydney or choose among various tour packages since one-day tour would not be sufficient. So, what are you waiting for? Explore Sydney central and go toward Blue Mountains for an ultimate nature tripping.